Skoda will launch an improved line-up of Greenline models at the Paris Motor Show in October as well as debuting the Yeti Greenline and Superb Estate Greenline variants powered by a 1.6 TDI common rail engine with 105bhp and 250Nm of torque. In the new Yeti Greenline this engine emits 119g/km of CO2 while average claimed fuel economy is 61.4mpg, yet it still promises decent performance with a 0-62mph time of 12.1 seconds. In the Superb range the Greenline model has only been available in the saloon untll now, but Skoda is adding the long awaited Superb Estate Greenline to the range. Like the saloon, the estate emits 114g/km of CO2 and returns a claimed 64.2mpg. Meanwhile the Skoda Octavia Greeline, available as both a hatchback and estate, sees emissions lowered from 114g/km (in the hatch) to 99g/km of CO2, meaning zero annual VED while claimed economy improves to 74.3mpg (from 64.2mpg). The estate is cleaner too, emitting 109g/km and averaging a claimed 67.3mpg. 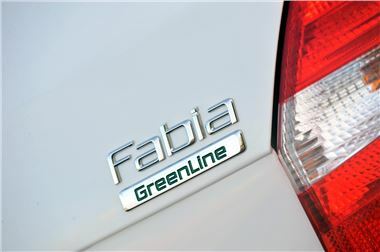 There are also updates for the Fabia and Roomster Greenline models which are now powered by a new 75bhp 1.2 TDI common-rail diesel engine which, like the 1.6 TDI, is equipped with a particle filter. Thanks to its efficient design, the engine helps the Fabia to emit just 89g/km of CO2 with a staggering claimed fuel consumption of 83.1mpg. The Roomster emits 109g/km and has a claimed 67.3mpg.